Students Build Solar Houses: Stevens Wins! Students at Stevens Institute of Technology in Hoboken NJ are crowing about their October 18 win at the 2015 US Department of Energy’s Solar Decathlon – they won first place for their solar-powered house among 16 top collegiate teams competing for the prize. Even better than the prize: they came up with SURE, a house design and renewable energy systems intended to withstand “the realities of a changing, more extreme climate.” It’s a house for our time – with many coastal communities facing a future that includes erosion, rising seas, and more severe storms. It has an indoor-outdoor feel — just like a beach house –that adds living space with decks that can be used in three seasons. It has a modern vibe with clean, contemporary materials. A storm-rugged PV system supplies power when in the grid is down without the use of batteries. 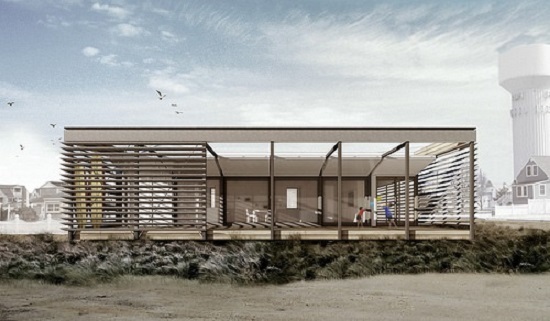 Working with local topography such as dunes, the SURE HOUSE can be raised slightly to avoid periodic nuisance flooding and encapsulate vital building systems in a storm-resistant shell. Thick insulation and rigorous air-sealing mean the SURE HOUSE is less sensitive to outdoor temperature swings and remains clean, safe, healthy, and comfortable inside. 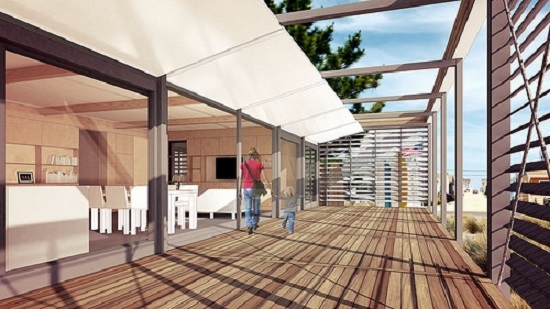 For the U.S. Department of Energy Solar Decathlon, collegiate teams devote two years to designing and building energy-efficient houses powered by the sun. In the final competition, the teams and their houses go head to head in 10 contests to determine an overall winner. Produces as much or more energy than it consumes. 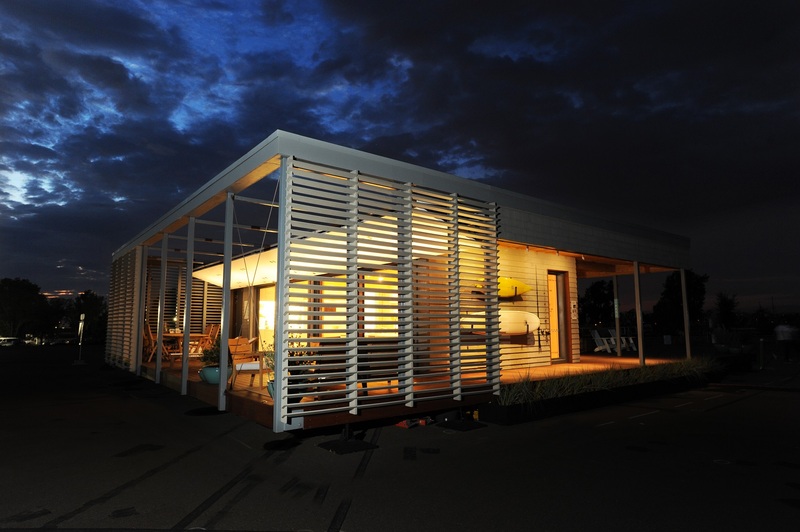 Green News Update has been following the Solar Decathlon since 2005. Here are some of our stories about the competition and the teams — and what everyone learned from this intense, inspiring project.